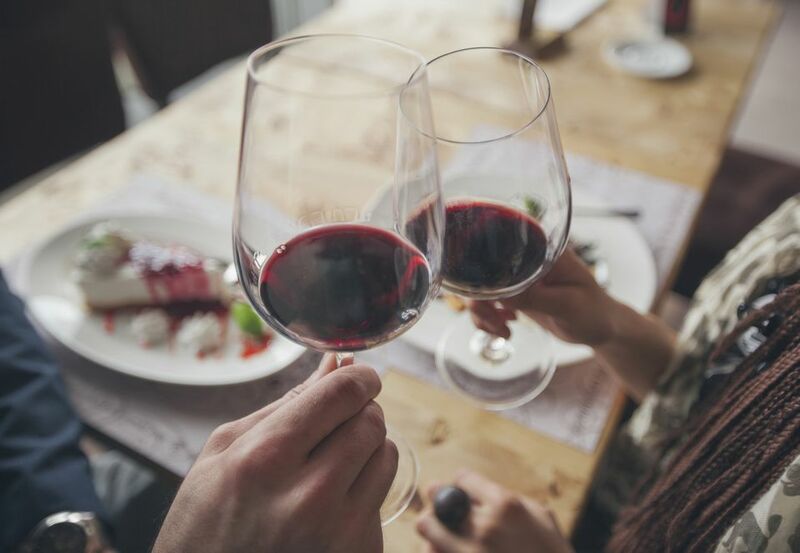 Some wineries recommend giving a dessert wine for a 1st wedding anniversary, champagne for a 5th wedding anniversary, and a port for a 10th wedding anniversary. Looking for wines from a couple's wedding year, favorite locales, or with meaningful names are other ways to select an anniversary wine. Here are suggestions on how to find the right wine to give as an anniversary gift. Keep in mind: champagne or sparkling wine makes a great anniversary gift as the bubbly drink can be a reminder of the sparkle and delight of married love. Try to find a wine with a distinctive, meaningful name. Locate wine from a country the couple would like to visit or have visited. If the couple knows quite a bit about wines, try to find a collectible wine or a boutique wine to give as a gift. Give a bottle of wine that has a custom, personalized label, or that is an anniversary wine. Vintage wines can represent how a couple has become complete with one another through time. Look for a vintage wine that is from the year when the couple was wed. Wine-Searcher.com lets you search by year by putting the wedding year in the "vintage" box. The results show many wines. When we searched on our wedding year, 1963, we ended up with 382 wines to choose from. Clicking on a particular wine will give you a choice of merchants, and prices. Some Champagnes and red wines will age for 20 years or so. Cabernet Sauvignon can age and improve over 100 years. Once a bottle is opened, it needs to consume the same day. A Vintage Port will not only last but may also improve in taste for 100 years. This type of wine needs to be stored correctly as being in a range of temperatures can destroy a bottle. Once opened, the wine needs to be consumed within seven days. Easily stored, Vintage Madeira wine is not as sensitive to temperatures changing. Madeira wines can be stored for over 200 years. Once a bottle is opened, it needs to be consumed within 30 days. Armagnac in a type of brandy that is distilled from white wine from Bordeaux, France. It can be aged for a long time and accepts being stored anywhere.